In video of an OFW from Kuwait onboard a plane going to the Philippines uploaded by a facebook user, she is still on her HSW uniform, with hands red and swelling, a fearful countenance and a somewhat disoriented way of speaking. You can easily tell that she has been in a traumatic situation similar to maltreatment. Two of her seatmates try to comfort her, assuring that she is finally safe and no one will hurt her anymore. The two OFW good Samaritan even promised to accompany her to the airport and all the way home. As their conversation goes, one of the OFWs seating next to her ask for some information about her but she could not give a clear response. When she was asked about the things her employer did to her, she only responded with a gesture of pushing her right shoulder with her hands. She does not even know if she is carrying her passport or not, she could not even tell where exactly her passport is. When her seatmates told her that they have already landed in the Philippines, Aiza Necodimos Claudio , which according to her, hailed from Purok Malakas,San Isidro, General Santos City,Daughter of a certain Leonardo and Maria Mila, seem to feel relieved knowing that she's already home. With tears around her eyes but couldn't cry it out, her seatmates constantly telling her that she don't need to worry anymore, nobody is going to hurt her that she is safe now. A lot Filipina household service workers suffer the same traumatic experience of maltreatment. Thus, the call for deployment ban for HSWs in Kuwait has become a loud cry. 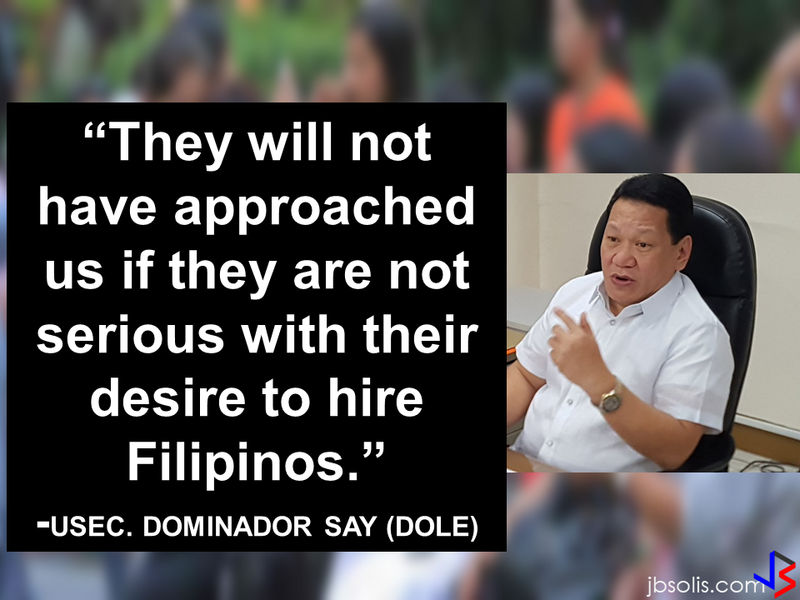 DOLE Secretary Silvestre Bello III assures that the decision on the awaited moratorium will be out very soon. Just recently, an HSW from Kuwait Amy Capulong Santiago was beaten to death by her employer. Harrowing nightmare-like real stories of Filipina HSWs will not end if the Philippine Government will not stop sending them in the Middle East, Kuwait in particular. They apply for work overseas with a great hope of giving their family a better future, but they got nothing but inhumane treatment and traumatic experience. Some of them were lucky to be home alive though but what about the others who suffered worst? “Our OFWs have already been sacrificing so much to provide for their families in the Philippines. Let us not further aggravate their suffering by turning a blind eye on the abuses being committed against them by their employers. I deem it imperative to act on these incidents,” Senator Joel Villanueva said. UPDATE: According to GMA News, the OFW was brought to a mental health facility and has been declared safe to travel home. OWWA Admin Hans Cacdac already checked on the OFWs situation and said that OWWA will help her with what they can. Investigation in on its way for possible filing of cases against her employer in Kuwait and the recruitment agency who deployed the OFW.